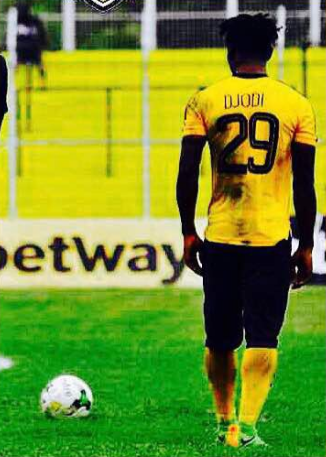 Ashantigold forward Saddick Adams has heaped praises on teammate Richard Djodi following his outstanding performance against Asante Kotoko in the JAK Cup match. Djodi scored for the miners as the game ended is a pulsating 1-1 draw after 120 minutes, but a winner could not be declared after organisers postponed the game to February 14th. Adams, who did not play a part in Sunday's game described Richard Djodi as the best "playmaker" in the country. ‘’There is no other better playmaker than this guy(Richard Djodi) in the Ghana premier league". "Talent over hype Richard Djodi, he was born a footballer”, he said. The sworn rivals are expected to replay the game on February 14th in honour of former President of the country J.A kufuor's 80th birthday celebrations. Meanwhile, reports reaching GHANASoccernet indicates, the Miners have no plans of replaying the game.